The Brazilian tourism market has been playing an increasingly transformative and fundamental role at global level. The 47th ABAV International Tourism Expo and 52nd Braztoa Business Meeting have been inspired by this new era and set up a comprehensive fair aimed at tourism professionals in an environment that has shown to be determinative in terms of business and updates on latest trends. Nowadays, the most important names in tourism meet at ABAV Expo. 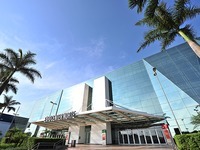 Alongside traditional exhibitors, such as airlines, hotels, car rental companies, cruise lines, tourist equipment businesses, national and international destinations, and operators taking part in the Braztoa Business Meeting, ABAV Expo 2019 provides a space for visitors to connect with representatives of areas such as infrastructure, sports, education and hospitality, among many others that are directly or indirectly impacted by tourism.